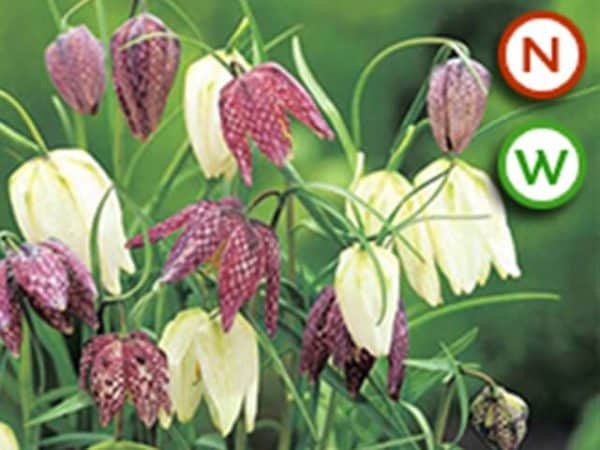 Snake’s head fritillary (Fritillaria meleagris) is a beautiful early flowering native bog plant described by the RHS as “one of the most exquisite jewels in the treasure house of British wild flowers”. 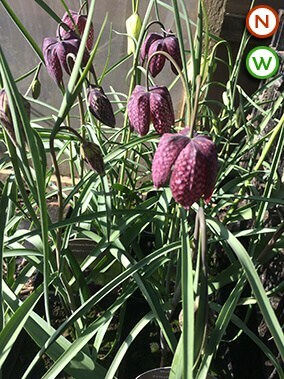 This spring bulb has stunning delicate drooping bell-shaped purple or white flowers with an exquisite chequer-board pattern. The common name Snake’s head derives from the shape of the flower just before it opens. 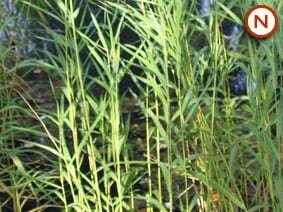 This is a rare wildflower only occurring naturally in a few floodplain meadows in the UK. 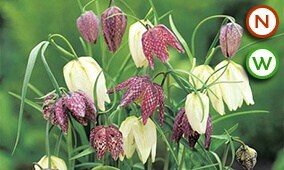 Flowers are produced from April to May usually one per plant sometimes two. It holds an RHS AGM.